The Town of Bristol retained TCE for this Vermont Agency of Transportation Local Transportation Facilities (LTF) project, to provide engineering, permitting, and survey services. 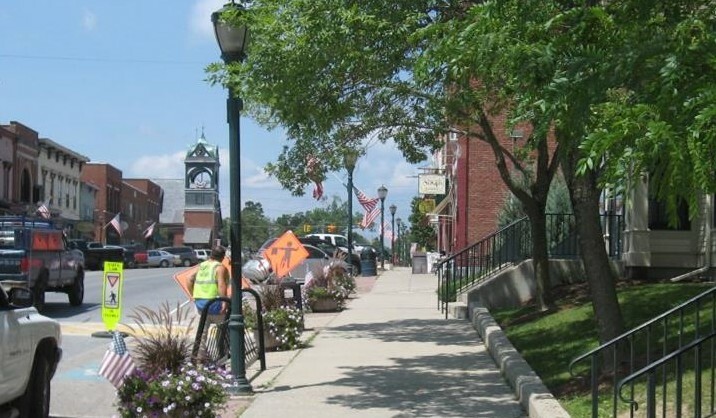 The project is a downtown enhancement project including design of sidewalks, cross walks, landscaping, lighting, and parking in the Prince Lane area of Bristol’s downtown. Prince Lane is part of a privately owned parking lot for Shaw’s, Rite-aid and the stores that front onto the north side of Main Street. The existing parking lot and surrounding area were not adequate for safe pedestrian circulation and the Town got two grants to improve pedestrian access and relocate overhead power lines underground. Following the LTF requirements, TCE held meetings, collected site data and then designed new features. TCE”s Landscape Architect insured the completed project would be pedestrian friendly throughout the process. In accordance with the LTF process, TCE prepared conceptual, preliminary, right-of-way, final design, and construction contract plans and bidding documents.